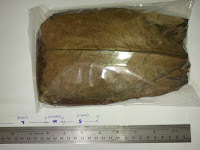 If you wish to buy/order ketapang leaves from me, pls msn or email qty & your posting/mailing address to alanchow76@hotmail.com . 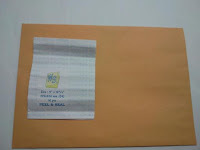 Payment can be made by Paypal, I'll send you a money request which you can pay using your credit/debit card. Estimate time of delivery is 5 to 12 working days from date of payment. Click link for : Price List before ordering. 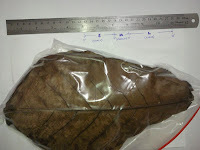 The ketapang leaves are packed into C4 Size Envelope, max about 50pcs in one envelope. All ketapang leaves sold here are not treated & many of them are freshly picked, pls clean the leaves after you have received them. 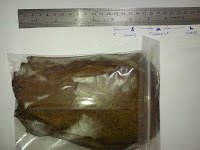 I (seller) shall not be responsible for the health of your livestocks after using ketapang leaves bought here. Price is easily overprice.. u can get double the amount and it will clean and process, safe for use..
Hi Anonymous, thank you for your commment. I agree with you that the price is on the high side due to courier costs and the effort taken to ensure good quality leaves are being delivered. One alternative way to reduce costs is to ship the leaves by Sea which takes at least 9-12 weeks to reach you. Top web site, I hadn't come across localfishshop.blogspot.com before during my searches! Its my at the start in good time always to post on this forum,merely wannat make some friends here.if its not allowed to advise on this board,amuse erase this thread.Nice to meet you!